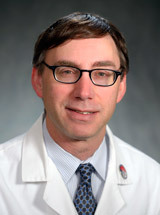 Dr. Freedman is employed by Penn Medicine. I have an academic focus limited to breast cancer. My research interests have been focused on shortening radiation courses by hypofractionation, intensity modulated radiation therapy (IMRT) with concurrent boost, proton beam radiation, and cardiac effects of radiation therapy/techniques to reduce cardiac dose in breast cancer. I have published over 75 peer-reviewed manuscripts, review articles and book chapters about breast cancer, radiation for early and advanced stage disease, radiation for intact breast and post-mastectomy indications, and radiation therapy techniques and side effects. I am co-chair of the Radiation Oncology breast committee with responsibility for the written board examination for the American Board of Radiology. 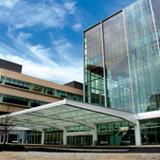 I am a member of the NRG breast cancer committee, co-author and co-Radiation Oncology principle investigator for protocol RTOG 1005 A Phase III Trial of Accelerated Whole Breast Irradiation With Hypofractionation Plus Concurrent Boost Versus Standard Whole Breast Irradiation Plus Sequential Boost For Early-Stage Breast Cancer. Freedman, GM: The End of the Beginning of our Understanding About Accelerated Partial Breast Irradiation The Breast Journal 20 (2): 113-115,2014. Moran MS, Schnitt SJ, Giuliano AE, Harris JR, Khan SA, Horton J, Klimberg S, Chavez-Macgregor M, Freedman G, Houssami N, Johnson PL, Morrow M: Society of Surgical Oncology-American Society for Radiation Oncology Consensus Guideline on Margins for Breast-Conserving Surgery With Whole-Breast Irradiation in Stages I and II Invasive Breast Cancer J Clin Oncol 32 : 1507-15,2014. Edwards C, Gao F, Freedman GM, Margenthaler JA, Fisher C: Margin index: a useful tool for the breast surgeon? Journal of Surgical Research 190 (1): 2014. Halyard MY, Harris EER, Bailey L, Bellon JR, Freedman GM, Goyal S, Horst KC, Moran MS, Park CC, Suh WW, Toppmeyer D, Haffty BG: ACR Appropriateness Criteria® Local-Regional Recurrence (LRR) and Salvage Surgery—Breast Cancer Oncology : 157-165,2014. Badiyan SN, Shah C, Arthur D, Khan AJ, Freedman G, Poppe MM, Vicini FA: Hypofractionated Regional Nodal Irradiation for Breast Cancer: Examining the Data and Potential for Future Studies Radiother Oncol 110 (1): 39-44,2014. Freedman GM: Topical Agents for Radiation Dermatitis in Breast Cancer: 50 Shades of Red or Same Old, Same Old? Int J Radiat Oncol Biol Phys 90 : 736-8,2014. Plastaras JP, Berman AT, Freedman, G: Special Cases for Proton Beam Radiotherapy: Reirradiation, Lymphoma, and Breast Cancer Seminars in Oncology 41 (6): 807-819,2014. Moran MS, Schnitt SJ, Giuliano AE, Harris JR, Khan SA, Horton J, Klimberg S, Chavez-Macgregor M, Freedman G, Houssami N, Johnson PL, Morrow M: Society of Surgical Oncology-American Society for Radiation Oncology Consensus Guideline on Margins for Breast-Conserving Surgery With Whole-Breast Irradiation in Stages I and II Invasive Breast Cancer Ann Surg Oncol 21 (3): 704-16,2014. Moran MS, Schnitt SJ, Giuliano AE, Harris JR, Khan SA, Horton J, Klimberg S, Chavez-Macgregor M, Freedman G, Houssami N, Johnson PL, Morrow M.: Society of Surgical Oncology-American Society for Radiation Oncology Consensus Guideline on Margins for Breast-Conserving Surgery With Whole-Breast Irradiation in Stages I and II Invasive Breast Cancer Int J Radiat Oncol Biol Phys 88 (3): 553-64,2014. Freedman GM, Fowble BL, Li T, Hwang ES, Schechter N, Devarajan K, Anderson PR, Sigurdson ER, Goldstein LJ, Bleicher RJ. : Risk of Positive Nonsentinel Nodes in Women with 1–2 Positive Sentinel Nodes Related to Age and Molecular Subtype Approximated by Receptor Status The Breast Journal 20 (4): 358–363,2014.